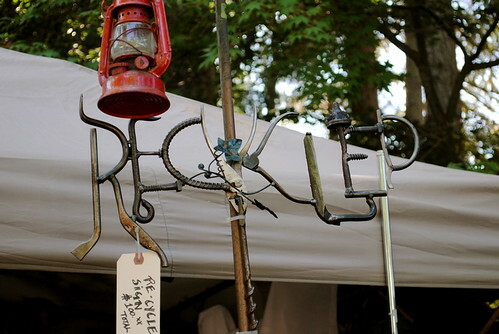 For 29 years, the annual Filberg Festival has drawn art and music enthusiasts from all corners of Vancouver Island and beyond. I remember attending the festival for as far back as my memory goes, spending many BC Day long weekends slurping hand-squeezed lemonade while wandering the grounds of the Filberg Park in steamy sunshine. 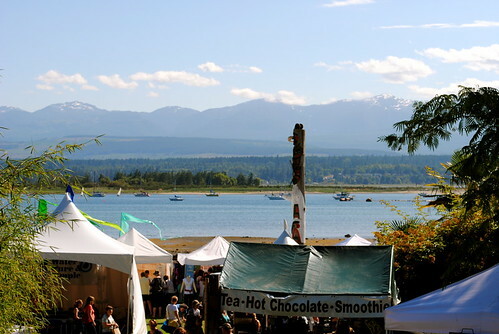 Festival goers will once again be treated to arts, crafts, food, music and more from July 29th through to August 1st as the entire Town of Comox is in full celebratory swing. 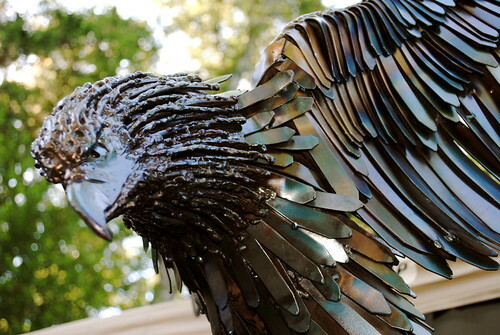 More than 130 artisans will converge at this picturesque park, toting incredible creations ranging from pottery and metal works to jewelry, textiles and specialty food items. This year’s guest artist is Coral May Barclay whose exceptional oil paintings will be showcased at the historic Filberg Lodge. Barclay is a Northwest coast artist widely acclaimed for her landscape paintings. In addition, Filberg Festival organizers are pleased to pack their stages with the musical stylings of Barney Bentall, Blackie & The Rodeo Kings, Mae Moore, Lunch At Allen’s and Michael Kaeshammer among others. New to the Filberg Festival for 2011 is “Sip & Bid” – giving attendees the opportunity to sip offerings from the finest of Vancouver Island’s wineries and breweries while bidding on original artwork by MONK and Marion Webber, travel vouchers and airfare for two with Harbour Air/West Coast Air and accommodation at Fairmont Pacific Rim. How: Very limited street parking is available. Your best bet is to grab a seat on the Park & Ride from Brooklyn Elementary School (1475 Noel Avenue). Ample bicycle parking and lock-up is available on site. Admission: Advance one-day tickets are available at Thrifty Foods locations for $13. Tickets at the gate are $15 each or $30 for a full weekend pass. Kids 12 and under are FREE! Filberg Festival organizers would like to kindly remind attendees that pets are not permitted on the Park’s grounds. Count on heat and sunshine so slather on sunscreen, fill up your reusable water bottle and have fun! 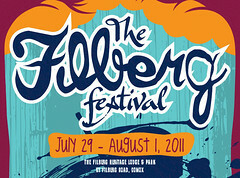 For more information, visit the Filberg Festival online. I love the Filberg Festival! The year that Bruce Cockburn performed was my favorite. I don’t even care if I don’t buy a thing…the food, booths, entertainment and the company I go with makes it such and enjoyable day! I really wish i was available for those days- this would be so much fun to go to!!! hmm maybe i can book those days off. oo i love how at first i thought the sign said “hot chocolate smoothies” until i realized they were separate items haha- bummer!